For the Rohingyas, who often face hostility from Indian neighbours, football seems one way to turn the tension into camaraderie. “Did you see Barcelona beat PSG?” asks Abdulla joyfully. His voice betrays an irresistible obsession for the game. I watched, and rooted for Barca, and somewhere through the historic match, Abdulla’s own monumental journey as the person behind the Rohingya Football Club in Hyderabad began making sense to me. It was early in 2012, when the violence between the Rakhine Buddhists and Rohingya Muslims reached its peak. Over 400 people lost their lives in the ethnic cleansing. Those who survived in oppressive conditions tried persistently to escape. When his family decided to flee the country, they were unsure of the dangerous journey ahead. They had to cross a raging river, climb dangerous mountains, trespass two international borders, all dodging various armies and their bullets. “It took many days, anybody could have killed us thinking we were terrorists. They didn’t know we were ourselves running away,” says the 21-year-old. When Abdulla finally made it to Bengal, he had relatives for shelter. Many others just asked a passer-by which was the safest place for Muslims in the alien country. “Hyderabad” was one of the replies, while some others were told Delhi and Kashmir. Armed with just this advice, over 3,500 (according to recent registrations by the United Nations High Commission for Refugees) Rohingyas found their way into Balapur, in south eastern Hyderabad. In 2016, Rohingya FC cropped up on the outskirts of Hyderabad, in Balapur. When the refugees slowly gained the control they had lost on their lives, football seemed to be a good outlet to wash the trauma away. The team consists of players of all ages, from as young as 11 to 35, all united by the passion for football. Some are vendors, casual labourers, carpenters or stall boys mostly earning less than Rs 600 a day. A few young boys like Omar are the bread winners of their family. Abdulla, their captain is a painter by profession and manages to earn 500 a day. “I started off as a painter. When I got time off work, I would wander over to the ground nearby. After hanging around with the players, they began including me,” says 21-year-old Abdulla on how he conceived the idea for the club. After honing the skills for his game, he decided to start a team. The club has yet to make a real mark for itself, with a quarter final finish in a local tournament, and a 2nd place finish in another. The Rohingyas achievements maybe few, but in light of their past troubles, seem to shine brightly. A simple ID card (Long Term Visa) declares the Rohingyas as refugees from Myanmar. Physically they don’t look much different from the native population. Despite this, once branded, they become susceptible to hostility from their Indian neighbours. A walk across the camp in Balapur, which is propped on land rented out by locals, the fallout with neighbours becomes apparent. These settlements are in patches, where about 30-40 tents huddle together sharing one toilet and one bathroom with no proper sewage system. Each hut-dweller pays about Rs 500 as rent for occupying an area no bigger than 11x11 square ft.
Water connections and electricity were brought in through constant deliberations by NGOs like COVA (Confederation of Voluntary Associations), who negotiated with local authorities for services. This is probably what irks the locals the most; the ‘outsiders’ getting amenities while some of them have to go without. Football, though, seems to be one way to integrate. Once on the field, hostility changes into camaraderie or friendly competition. Keeping this in mind, Shabeer, the President of the Rohingya Human Rights Initiative, lobbied for a friendly tournament sponsored by a company named LehLeh Sports. 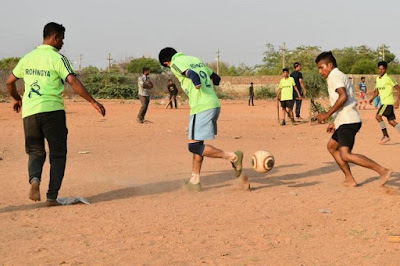 The company organises corporate sports events for companies like Google and Accenture and this year for the first time, the Rohingyas were invited to the tournament on April 15 and 16. Specially handpicked for this were players from settlements in various states. 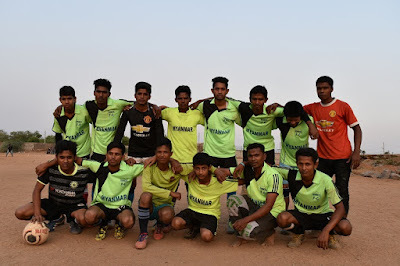 The team, called Rohingya FC of India, made it all the way to the finals before settling for second place. They’re now set to join another tournament organised by LehLeh Sports at the end of the month, and this time Abdulla joins the team as the forward lead. “Sports is a good way to educate people about our presence and our lives as refugees,” says Shabeer. He explains that the Rohingyas often get misunderstood as terrorists. “In Kashmir, the kind of persecution we face is worse than what Myanmar did to us,” he says. Most recently, parties like the Jammu and Kashmir National Panther Party put up hoardings in Jammu, demanding it to be cleansed of Rohingyas. The national Rohingya FC team features one player from Kashmir. It’s not just Indians who are unsure of how to deal with the Rohingya identity, the Rohingyas themselves are in a constant dilemma. “Are you a player of Myanmar or India?” The question raises discomfort and silence amongst the players. India was not party to the UN’s Treaty of 1951 Convention on Refugees. This makes India’s policy on refugees ad-hoc, Shailesh Rai, senior policy advisor at Amnesty International India told Scroll.in. This leaves room for uncertainty and arbitrariness. For example, in 2016 the cabinet introduced new facilities opening of bank accounts, permission for purchase of property for self-occupation, issue of driving licence, PAN card and Aadhar number and so on for refugees on Long Term Visas. But these facilities are for refugees from various faiths other than Islam, and applicable only in certain states where the Muslim population is low. Since Rohingyas are Muslims and reside in states with larger Muslim populations like Hyderabad, they are deprived of these. 65.3 million people were displaced in 2015, which is higher than the number displaced during World War II according to UNHCR’s statistics. This makes about 1% of the world’s population living in a state of flux. To acknowledge this, the International Olympic Committee (IOC) decided to pitch a Refugee Olympic Team against the rest of the world, with players from Syria, South Sudan and Ethiopia. Outside of this single effort, though, little has happened in the way of integrating refugee populations through sports. 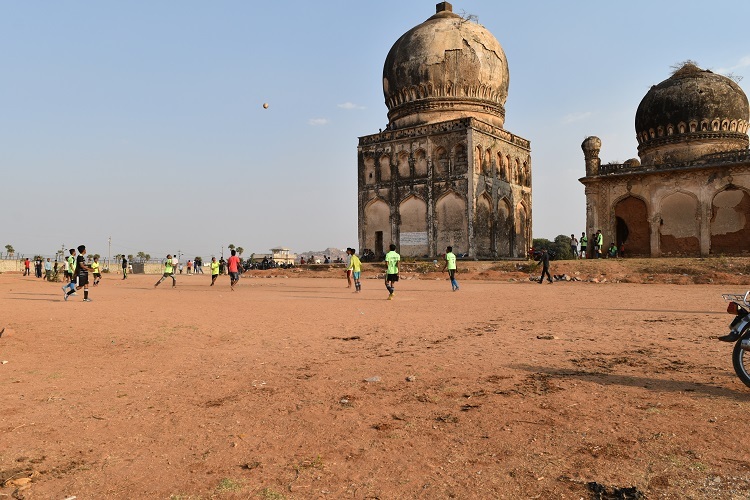 Collectivize, a Delhi-based organisation, is the only notable organisation that is working on local level sports diplomacy in Delhi’s Rohingya settlement. Of course, sports diplomacy may work for the Rohingya. But it still leaves out the women. Abdulla admits that it’s harder to draw women out through sports, given the boundaries tradition imposes on them. Still, given where the Rohingyas have come from, what Abdulla and Shabeer have undertaken seems nothing short of a revolution. In India, they might still face bans on their travel abroad, and no permanent statehood. But, there’s still the freedom to play football. For Abdulla and his friends, that’s no mean difference. “Burma mein maine democracy nahi dekha, India ake maine jana kya hai democracy (I never saw democracy in Burma, I realised what democracy is after coming to India),” says Abdulla.